KEEP YOUR CREDIT INFORMATION PRIVATE - With RFID blocking technology, you can be sure that your private information is protected from electronic pick-pocketing and wireless identity theft. SLIM WALLET AND STYLISH DESIGN - Ultra slim frame and solid black color complements your modern minimalist style. This thin wallet fits your front pocket without the unsightly, uncomfortable bulge. 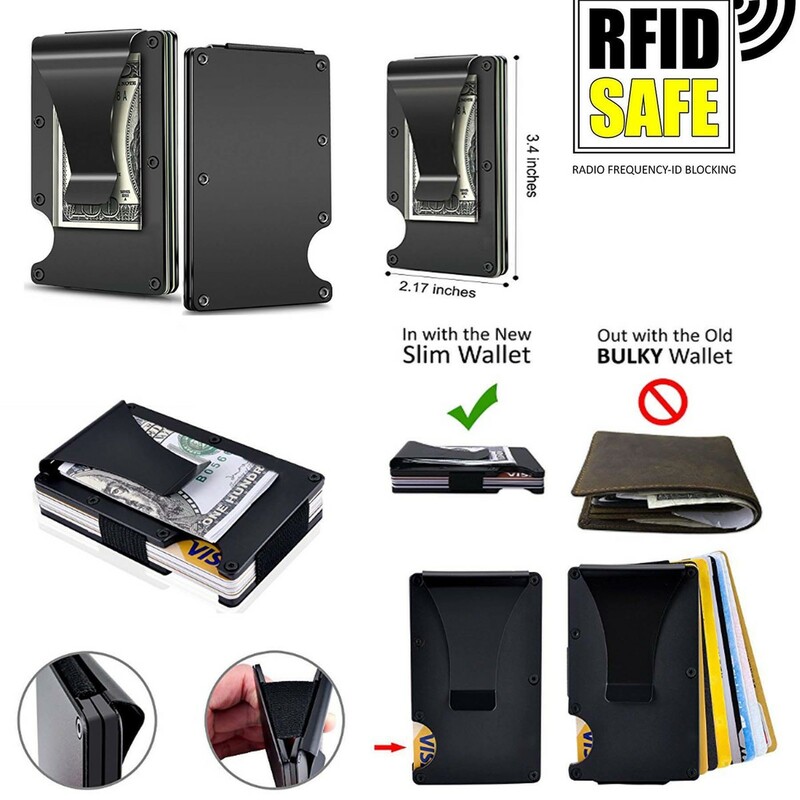 STRONGER MONEY CLIP AND ELASTIC BAND – This card holder wallet comes with an improved and more durable money clip for you to simply carry your cash, and not worry about the clip breaking. Strong and flexible elastic band provides secure storage.